On March 18th, he smiled at me. A virtual smile through eHarmony, followed up with some multiple-choice questions. I was intrigued enough to respond...and when he later answered some open-ended questions I chose for him, I was smitten. This was a man of faith, a humble man who could see God at work in his life and express his insights well through writing. We spent the next two months falling in love through our words. Emails. Texts. Phone calls. Skype sessions. Handwritten letters. We spent our Saturday out at the coast, walking a trail, sitting by a waterfall, and visiting my favorite lighthouse. We were awkward. We didn't quite know how to navigate the newness of finally being together. But we learned, and it was as sweet and silly and emotional and wonderful as a first real date ought to be. Then summer came, and with it a series of delightful visits. Vacation with my family in the high desert of Central Oregon. Trips to see him in Washington. Trips to see me. We meandered through a garden. Explored a lava cave. Went on hikes. Canoed under the stars. Enjoyed a festival with friends. Took a road trip down the coast, viewing a couple more lighthouses along the way. We experienced some great highs and some tough lows through the summer and into the fall. Quite the new adventure, falling deeper in love while still being hundreds of miles apart. But God has been there through it all, reminding us what love means...showing us new levels of humility...growing us closer together as the seasons changed. We talked about marriage, about a forever commitment. We spent Thanksgiving together with some of his relatives, with so very much to be grateful for, even in an in-between time. He completed another difficult quarter of school with success, getting closer and closer to realizing his dream of being an airplane mechanic. And right after his last class before Christmas break, he hopped in his car to head south, trying to beat a winter storm on his way to surprise me with a visit he had been secretly planning for months. The storm beat him instead. Despite the snow and ice covering the roads, Josh made it safely back home the next morning. We both knew it would be too dangerous for him to try to drive down to see me. He didn't give up, though. He had been able to book a seat on a flight that afternoon...a flight that kept getting delayed as the weather continued to conspire against us. The odds were high that he would get stuck in an airport overnight, but he got on the plane regardless. And in an answer to prayers, his second flight was delayed long enough for him to make the connection! We had dinner that night with dear friends of mine who hosted Josh for the weekend. And the next day, Josh was able to carry out his special plans with another outing to the coast. We had breakfast in a restaurant by the ocean. Took a walk along the beach. Browsed some favorite little shops. And finally made our way to that favorite lighthouse of mine, the one we visited together back in May. On a trail above the lighthouse, Josh got down on one knee and asked me to marry him. I said yes with all my heart! So now we're entering a new season, one full of uncertainties and newness and incredible possibilities as we start to plan our wedding and our new life together. But God has brought us to this place, and we trust Him to watch over us in all the days and adventures to come. Thank you, friends, for letting me share my story with you. :) I hope you all have a beautiful Christmas full of reminders that God is at work and very near! What if, in this waiting, God is calling us to more? It’s easy to believe God when a promise is new. It’s hard when the years pass and nothing changes. It’s even harder when desperation strikes, your plans backfire, and still God does not fill the emptiness. But what if, in this waiting, God is calling us to more? Join author Marlo Schalesky on a unique, contemplative journey to reveal the wonder that is often missed when we find ourselves struggling to wait well. Walking through the life of the biblical character Sarah, one who knows what it means to wait, you will discover a glimpse of God’s character that will give you strength to keep hoping and praying for the desires of your heart. Waiting for Wonder is a journey into the heart of God where you will wrestle with personal questions, think deeply about God’s true character, and learn to appreciate His divine work as you discover your own path to the promised land. Recapture your hope, restore your soul, and renew your vision of a wondrous Savior when you learn to live on God’s time. I think the best thing about this book is the perspective it offers. There are some gems throughout these pages, beautiful thoughts that remind us of the real, unexpected rewards of waiting and the peace of knowing God is in control in the long "in between" seasons. The truth is that all of life is an "in between" season, and I love the chapter that discusses how "arrivals" on earth can't live up to all we expect them to be. As the author notes, what we're longing for isn't a place so much as a Person. (I love that!) When we focus on growing our relationship with God, learning to trust in Him more and love Him deeper, then the waiting times are full of promise and meaning. 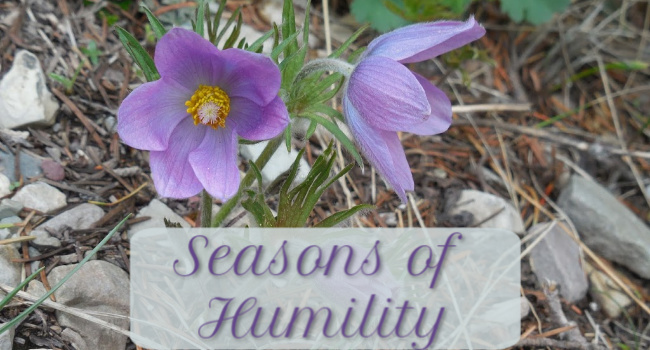 There's a lot to encourage your heart in this journey through the life of Sarah (from the book of Genesis) and in the stories the author shares from personal experiences. I do admire the creativity of the book's layout, how there are fictional takes on Sarah's defining moments to add more emotion to the lessons, and how the highlights of Sarah's story offer some interesting takeaways. I think there is a bit of a problem in using Sarah's life as a template. Our own journeys might look quite different than Sarah's. We weren't all given the same sort of promise she and Abraham were given, and there are longings we have that might be fulfilled in vastly different ways or never really fulfilled in this world. Granted, I don't think the book is necessarily suggesting we expect the same results as Sarah received. :) But I do think it's good to be cautious in how we apply her story and what we take from it. And I also confess that the poetic nature of the writing in this book makes it feel a bit repetitive at times. Even still, this is an uplifting read that points to an amazing God who works in perfect timing, blesses us in bigger ways than we often look for, and lovingly, amazingly joins us in the wait. 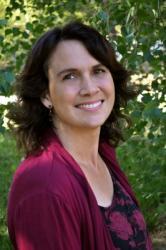 Marlo Schalesky is an award-winning author of ten books, including Wrestling with Wonder: A Transformational Journey Through the Life of Mary. A regular speaker and columnist, she has also published nearly 1,000 articles in various Christian magazines, including Focus on the Family, Today’s Christian Woman, In Touch, and Marriage Partnership. Marlo lives with her husband, six young children, nine horses, two dogs, five cats, two parakeets, ten rabbits, two chinchillas, three hamsters, and a bunch of fish in a log home in Salinas, California. Be encouraged to find strength and hope in Marlo Schalesky's new book, Waiting for Wonder. Journey into the heart of God where you will wrestle with personal questions, think deeply about God’s true character, and learn to appreciate His divine work as you discover your own path to the promised land. Recapture your hope, restore your soul, and renew your vision of a wondrous Savior when you learn to live on God’s time. 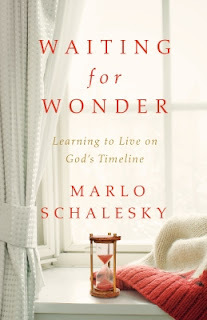 Learn the true purpose of waiting on God and living on His timeline and enter to win Marlo's giveaway. Enter today by clicking the icon below, but hurry! The giveaway ends on December 23. The winner will be announced December 27 on Marlo's blog. A lonely girl plots revenge in the shadow of a mountain. A stolen princess fumbles a century backward. A dwarfish man crafts brilliant automatons. A Polish Jew strikes matches against the Nazis. A dead girl haunts a crystal lake. A terrified princess searches a labyrinth. A rich collection of six historically inspired retellings, Once is a new generation of fairytales for those who thought they'd heard the tales in all their forms. 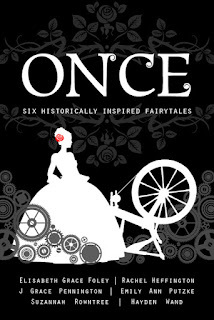 Creative fairy-tale retellings. A group of fabulously talented indie authors. Diverse historical settings and rich characterization. The Once collection has a lot going for it! The Mountain of the Wolf is a very atmospheric Western, with dangers from more than one kind of wolf and a tender, romantic twist. She But Sleepeth takes lots of turns and raises some interesting what-if questions about the course of history, the things we value most, and the dreams that don't come true. Rumpled offers an emotionally authentic journey from an ordinary life to a happily-ever-after with a steep cost. I think this might be my favorite of the collection (although it's tough to choose!) because of the powerful lessons learned and the satisfying way everything comes together. Sweet Remembrance is a tough, bittersweet read, gently told, with past and present scenes tightly interwoven. Death Be Not Proud kept me guessing, and I confess that I'm still not quite sure I understand exactly how it all went down and why certain characters acted the way they did. ;) But the great writing and the intense suspense certainly held my attention! This story might require more than one read to fully appreciate. With Blossoms Gold has really sweet main characters, a cat companion, an epic quest, and some wonderful character growth. A lovely tale that solidifies my admiration for this author's writing style and skill. All in all, this collection offers plenty of variety in its stories, from tone and setting to the type of ending. 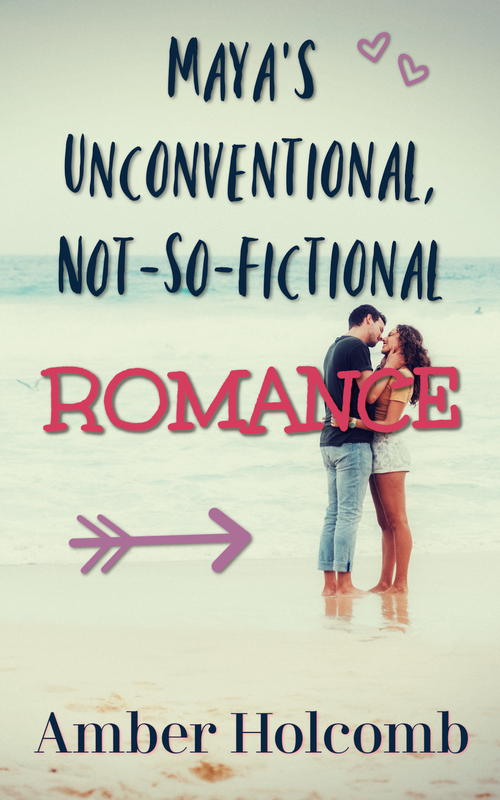 If you enjoy fairy-tale retellings with strong characters and thought-provoking alterations, you should find much to love in Once.